Two significant transit decisions are about to be implemented. The JO will continue to sell its monthly pass to employers for re-sale to their employees. Employers will continue to pay $63 per pass, and they generally discount the pass to their employees. Availability of the monthly pass will be a significant cost saving for Johnson County commuters whose employers don’t sell passes. Such commuters currently have to pay cash fares ($2.00 each way, or $88 for a 22-workday month), or use 10-ride passes ($18.00 for 10 rides, or $79.20 for a 22-workday month). 2. Kansas City Area Transportation Authority (KCATA) will accept the JCT monthly pass on all regular Metro buses (excluding premium-priced commuter routes). KCATA and JCT will allocate revenue from the JCT pass between themselves based on usage. JCT monthly passes will be accepted on Metro buses beginning May 1, 2012. Anyone can purchase the JCT monthly pass online to use on either system. TAN advocates have worked for Seamless Transit for many years, and this development is clearly a step in the right direction. Missouri and Wyandotte County residents who also need to use The JO will have the option of purchasing the JCT monthly pass. These riders will need to evaluate whether their savings will justify the higher up-front cost of the JCT monthly pass. Riders who use transit only for commuting now pay $3.50 per day in cash fares ($1.50 going to work, $2.00 to return), or $77 per 22-workday month. A rider who needs to be able to use Metro buses all week as well as commute to Johnson County currently pays $94 for a 22-workday month ($50 Metro pass plus $44 in cash fares on The JO). The JCT monthly pass sale through their website and KCATA acceptance of the JCT monthly pass are positive steps toward Seamless Transit. Well over 500 JCT monthly pass holders will get automatic access to the extensive (7 days a week, 20 hours per day, service to five counties) Metro system at no additional cost. 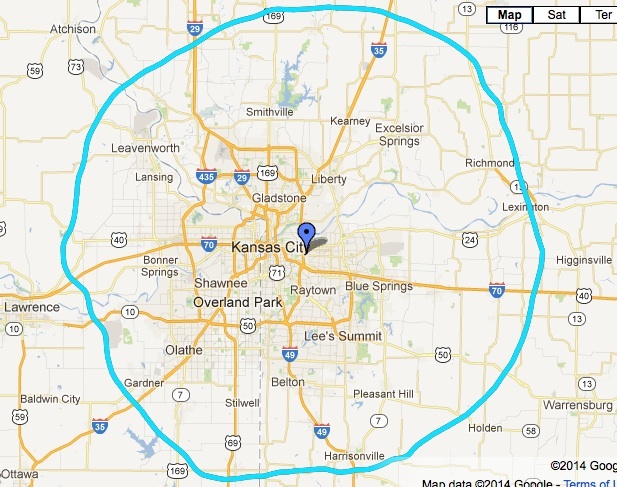 what percentage of morning commuters from Kansas City to Johnson County use the JCT monthly pass (this direction is considered a reverse commute). JO riders make good use of their new access to the Metro system beginning May 1. In a move characterized as a “new integrated transit system,” the Independence City Council Transit Committee recommended First Transit to operate their intra-city (local) routes beginning Monday, July 2, 2012. KCATA would continue to operate inter-city routes. 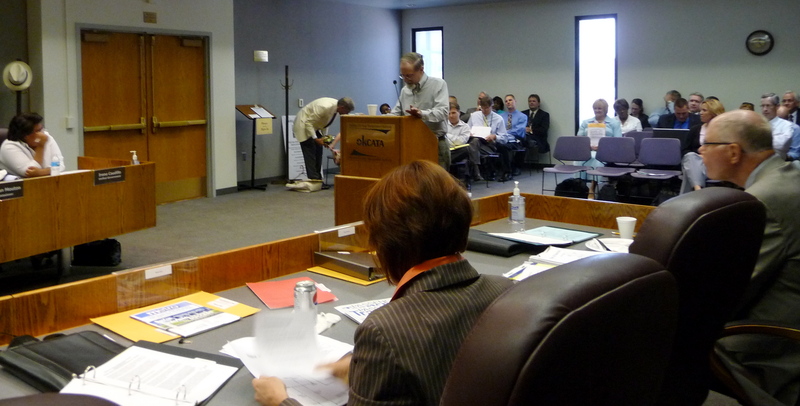 Final action by the full City Council is anticipated in January 2012. 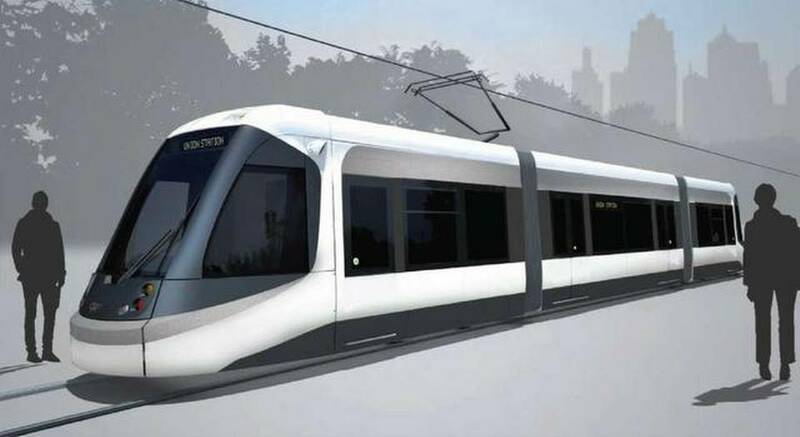 (2) contract with First Transit to provide local fixed route and deviated fixed route service, paratransit service for intra-city trips, and senior transportation service (Dial-A-Ride). First Transit is the contract operator for Johnson County Transit. Independence says its revised transit plan will provide a 40% increase in service area, 32 additional miles of routes, and a 30 percent increase in hours of operation. Local service will be provided using specially designed new buses, tentatively branded “IndeBus.” Waiting times between buses will increase on some routes due to extending the length of the route without adding additional buses. 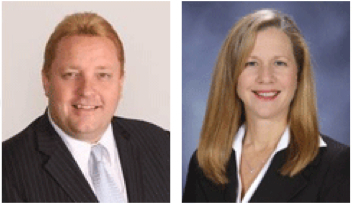 Independence expects coordinated scheduling between the two systems to minimize waiting times. Fares will be the same for both systems and Independence expects to work out an agreement with KCATA so there will not be a fare impact on the riders using passes or transfers. Still unresolved are some funding issues, including how much federal “formula” money Independence will receive as pass-through from the KCATA allocation. 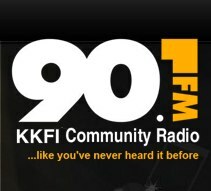 Independence will presumably qualify for federal funds related to routes operated by KCATA, but regulations related to employee protections under Section 13(c) of Federal Transit Law could make it difficult or even illegal to use federal formula funds for the Independence local routes (see previous article). This issue — how much federal money will be passed through to Independence — could significantly change the transit funding situation in Independence. Discussions and legal research are ongoing between and among Independence, KCATA, the FTA, the Amalgamated Transit Union, and MARC. A publicity campaign is planned to start in April, including public meetings, route maps, publication in the Independence newsletter CityScene and information on City 7, the public access cable channel. Bus stop and schedule signs will be replaced and First Transit will work with the businesses in the new service areas for locating stops. Although its total cost of transit service will rise slightly, Independence expects ridership to increase at least 15% with the increased route coverage. In addition, the City plans to seek grants to supplement money from its General Fund. In August, 2011, Independence issued a Request for Proposals (RFP) to operate their local transit routes and local para-transit service, Dial-A-Ride. The local or “intra-city” routes are currently operated by KCATA and are the routes identified by colors as well as numbers. The inter-city routes connecting Independence with Kansas City would continue to be operated by KCATA. Several proposals were received, and in October the city staff made a preliminary recommendation to the City Council Transit Committee. They recommended First Transit over KCATA as operator for the local routes. The Transit Committee recommendation to the full City Council is planned in December because a final decision has to be made by February 1, 2012, in order to implement the desired changes by July 1, 2012. Transit Action Network understands and appreciates the financial realities Independence faces to maintain transit service for its residents, as well as its right to contract for the most cost-effective transit service. The Independence budget for transit comes out of general revenue. 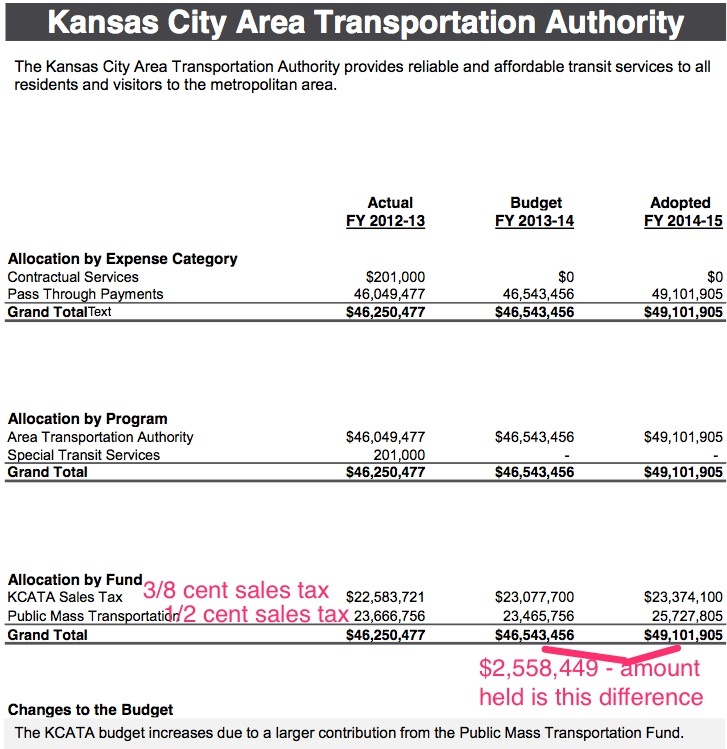 Independence does not have dedicated transit funding like Kansas City, nor do they have taxing authority from the state to even ask for a dedicated transit tax. 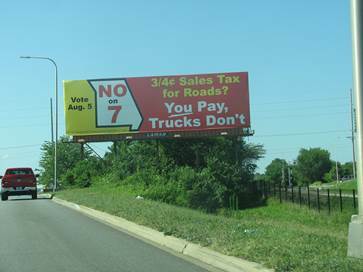 Their ½ cent transportation sales tax is all used for streets. Like most Eastern Jackson County municipalities, Independence has been waiting for the county to get involved in funding transit. County transit funding was the original promise of the regional “Smart Moves” transit concept nearly a decade ago. But county funding hasn’t materialized yet, and general revenue has declined as costs continued to rise, and something had to give. Independence has assured TAN that its goal is to provide the best transit service they can. Several snags have arisen, however. The biggest one deals with the allocation of federal “formula” funds for transit in this region. As the Congressionally created transit authority for the Kansas City region, KCATA is the federally designated recipient of federal formula funds, and that means KCATA decides how this money is to be allocated around the region. Legally they do not have to allocate any funds to municipalities that don’t contract with them, but historically KCATA has allocated funds to other operators, such as Johnson County Transit, a well as the municipalities that contract with them. The current annual federal formula fund allocation is approximately $15 million, but may decrease based on Congressional action. Independence believes it has a right to a share of this money, even if it goes with a private contractor. Even if the KCATA Board wants to continue to allocate a share of the federal formula funds to Independence, it may be illegal if they contract with a private operator. This issue arises because federal transit law has a section that protects transit employees who are affected by federal transit funding. If Independence changes to a private operator there could be a negative impact on public transit workers. Based on the current allocation of money, this law (Section 13(c)) could lose Independence $600,000. All parties have their lawyers looking into the implications of Section 13(c). Another big issue is the effect on the para-transit riders in Independence if a different operator gets the contact for the intra-city routes. TAN is concerned that para-transit users wanting to go between Independence and Kansas City would have more transfers and higher costs if KCATA does not operate the intra-city routes. If Independence para-transit riders have to use both the Independence Dial-A-Ride and KCATA Share-A-Fare services for the same trip, the cost would double from $4 for the round trip to $8. Independence City Manager Robert Heacock said that Independence could consider picking up the additional cost for para-transit riders needing to go to KCMO. At an average of 12,000 rides to the city per year, this could amount to an additional cost of $48,000 for the city, but the inconvenience for riders would still be present. Most important, TAN has significant concerns about the impact another operator could have on all transit riders. Unless Independence gives careful attention to “seamless transit” principles, adding another transit provider could cause complexity, confusion and additional cost for riders, and that would both inhibit ridership and limit access to opportunities throughout the region, while undermining the goal of a truly regional transit system. We have discussed our concerns regarding seamless transit with elected officials including Council member Gragg, Chair of the Transit Committee, and with City staff. What is “Seamless Transit?” It’s the term being used in a regional effort to make transit easier to use, thereby building ridership and enabling more people to have access to opportunities throughout the region. Seamless transit is achieved by meeting basic rider expectations and eliminating the impact of multiple transit operators on the transit experience. 1. A uniform fare structure, and transfer and pass reciprocity. Independence has assured TAN that they will use the same fare structure and compatible fareboxes as KCATA so that transfers and monthly passes are accepted on both systems. They have told us they could do an allocation of revenue between the two systems at the end of the month for passes, although the details haven’t been discussed, since an operator hasn’t been chosen. 2. Good connectivity between the two systems is another concern. TAN has been told schedules will be adjusted to co-ordinate transfer locations and schedule times so inter-system connections can be made effectively. 3. Currently riders only have to make one phone call to get transit information. They can use Google transit to do online trip planning, and with GPS on all the current buses, real-time information is becoming available via cell phone or mobile device. TAN has asked that these seamless communication features be available to Independence riders if there is a change in operators, but has not been given any reassurances . 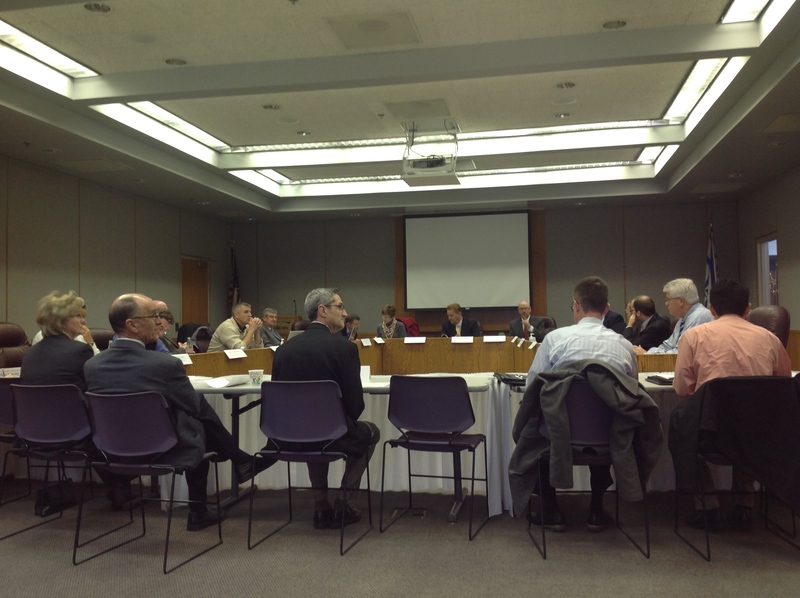 Seamless transit issues between JCT and KCATA prompted TAN to get the MARC Transit Committee to form a Seamless Transit Work Group last year. (TAN’s Seamless Transit In the Kansas City Region document) Now many of the same issues will need to be addressed with Independence if it changes operators for its intra-city routes. 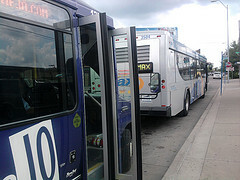 It’s been on our agenda for a long time, but we first wrote about “seamless transit” back in May http://bit.ly/abH9n1. We consider it an issue because there are invisible barriers to transit riders who need to move about the region using buses operated by the three transit agencies. Two recent developments move the region a little closer to achieving seamless transit. 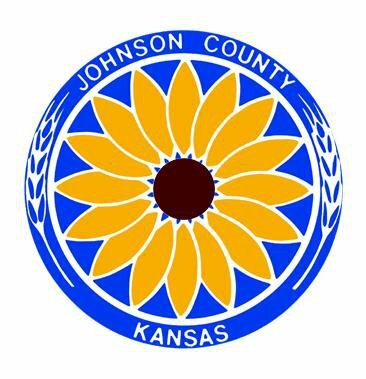 – Johnson County Transit initiated a new bus route (575/875) in July http://bit.ly/fUembw connecting Waldo with Johnson County Community College via 75th Street and Quivira Road. However, there was no evidence of the service at Waldo, except when a bus was actually there. In response to our request to its Board of Commissioners in August http://bit.ly/goLu99, KCATA has posted a map and schedule for Route 575/875 at the Waldo MAX stop. To our knowledge this is the first time a map and schedule for a Johnson County Transit route has been posted in Missouri. Our hats are off to the KCATA and JCT staff who made this happen. We hope a similar posting for Route 556/856 at the Plaza MAX stop will follow. And then maybe something at 10th and Main where dozens of JCT buses stop every weekday. Close-up of the map and schedule displayed on the MAX pylon. JCT Route 575/875 is shown in the green panel at the lower left of the poster. 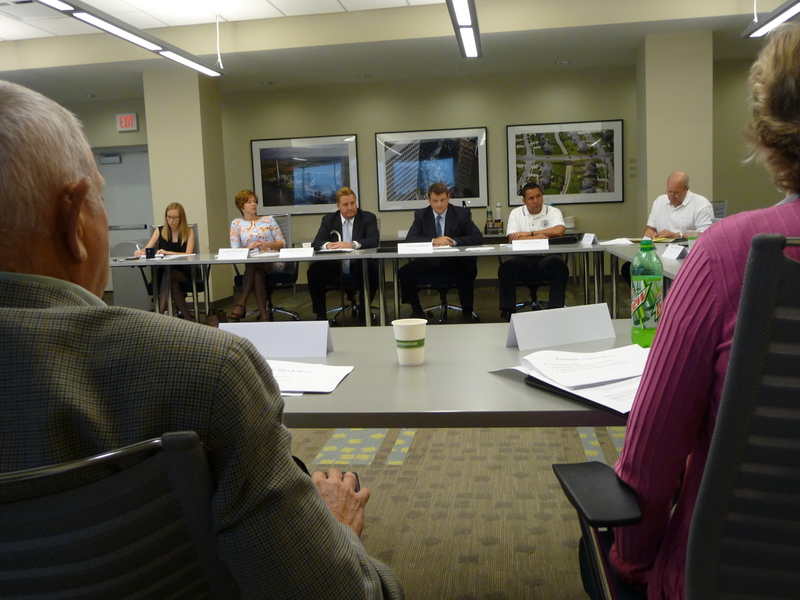 – Mid-America Regional Council has convened a Seamless Transit Work Group within its Transit Committee. Through this group, Transit Action Network will work with MARC and transit agency staff, plus representatives of other organizations, to define seamless transit — making the region’s transit network easier to use is a first working definition — and to outline steps the transit agencies should take to achieve it. Two small steps for transit agencies and MARC. Two giant leaps toward seamless transit. Announcing Transit Action Network’s first occasional Tweet Up Transit Sweepstakes. There’s a prize at stake. Between now and Friday, September 3, ride any of the following Johnson County Transit routes and then tweet about it. Tell us which route you rode and a little about your experience. Most important, include our Twitter name @transactionkc (so it’ll show up on our Twitter timeline), plus the hashtag #thejo. For each day that you tweet we’ll enter you into a drawing for a big prize. There are 15 days — including weekends, when you can’t ride but you can still tweet — so you can have up to 15 chances to win. At the end we’ll post all of the tweets — or at least the best ones — on our blog. And we’ll award the prize. The Transit Action Network wants “seamless transit” for the Kansas City region. What do we mean by seamless transit? Basically it comes down to making it easier to connect among the three transit systems (ATA, The JO, and UGT). 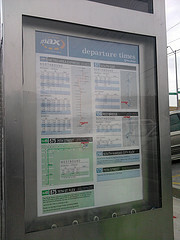 Shared bus stops with posted schedules and other information, especially where routes intersect. A common monthly transit pass, or at least having the three systems accept each other’s monthly passes. Simple things. At lot is happening in transit right now, and it might seem reasonable to postpone some of these details while dealing with more immediate issues. We think this is precisely the time to do it. Looking just at Johnson County, for example, there are opportunities that shouldn’t be lost. Beginning In July, Johnson County Transit will add trips on Metcalf and Shawnee Mission Parkway, and will launch a new route on 75th Street that will connect with MAX and other ATA routes in Waldo. 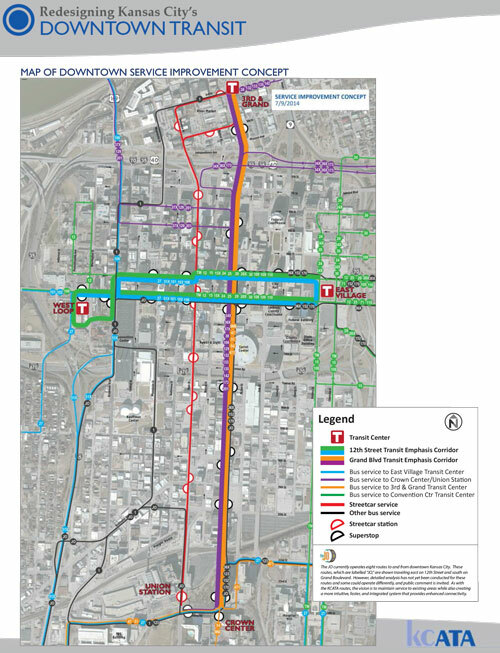 In addition, federal stimulus money has been awarded to JCT to prepare for BRT (bus rapid transit) in the Metcalf / Shawnee Mission Parkway corridor, with connections to MAX at the Plaza. The ATA’s Route 175 currently operates along Metcalf between 95th and 119th, three trips in the morning and three in the afternoon. That route, along with the new JCT service to begin in July, presents opportunities to improve connectivity for transit users. 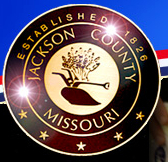 1 – Add information about the new JCT service at MAX and other stops in Missouri, and to let people know that the two systems honor each other’s transfers. 2 – At Waldo, make sure the new JCT route serves the MAX stop directly, rather than forcing people to cross 75th Street and walk 150 yards to connect to MAX. 3 – At Waldo and the Plaza, add a map of the several routes that radiate outward from those stops. 5 – When new bus stops are posted along Metcalf, have them show what routes serve them, ATA as well as JCT routes. 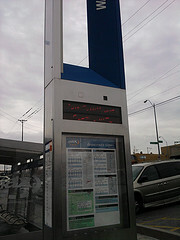 6 – Wherever passenger shelters are installed, provide information about transit service. 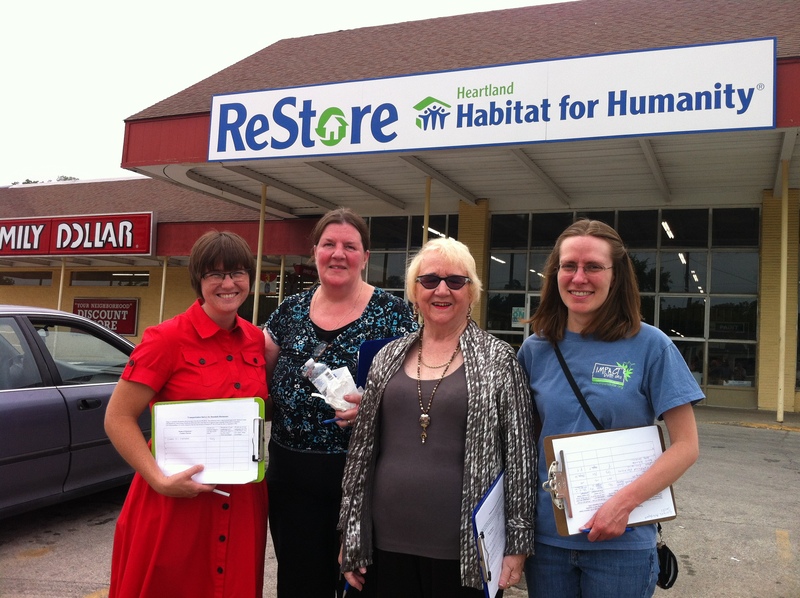 Every shelter is a 24/7 presence for transit, and should be used as part of the transit marketing plan. 7 – Show all connecting routes when JCT and the ATA publish new or revised pocket schedules, or publish such information on their respective websites. JCT and the ATA, working with MARC, have been partners in applying for and receiving the federal stimulus money for transit that was announced back in February. They should use this closer level of cooperation and coordination to make their respective transit services work more like a seamless regional system.